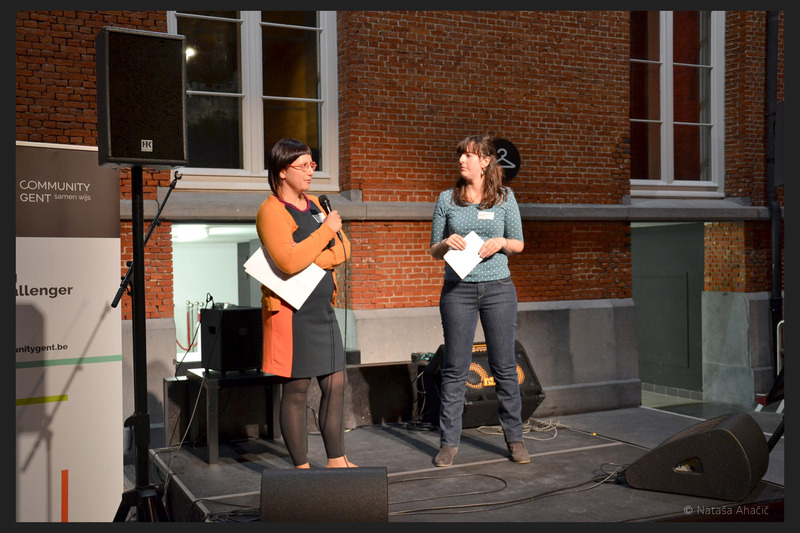 An expat event by Community Gent called “Living And Working in Gent” took place the 6th of October at the Bijloke Muziekcentrum. 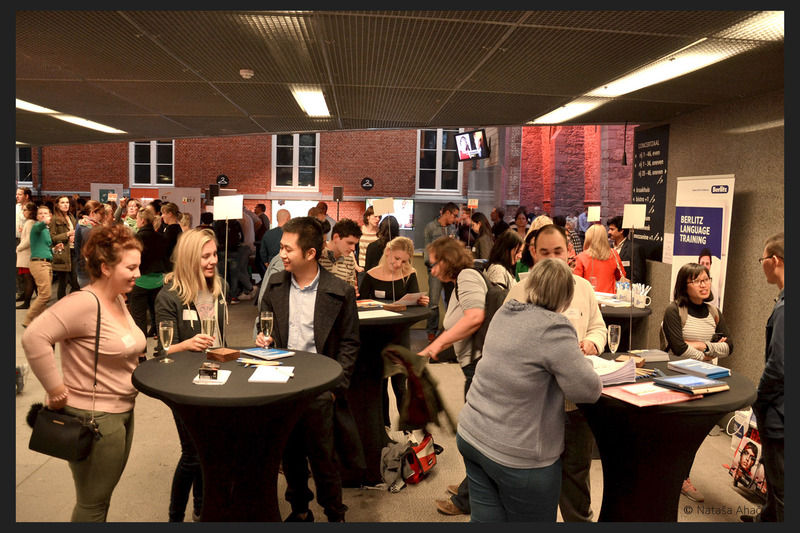 About 200 guests came to speed date with organizations supporting expats to feel more at home in Gent. Expats are defined as people from abroad living in Gent in this context. Senior expats were available to answer any questions which didn’t fall under any specific category. They gave advice about hairdresser recommendations, finding a dentist or where to find a babysitter. Representatives from various organizations were invited as hosts to help expats tackling these top 5 challenges. In the end around 30 different hosts signed up. For 3 x 10 minutes people moved around talking with any host in an informal speed dating setup. After the speed dating rounds were finished, all expats mingled casually over a drink and an appetizer. 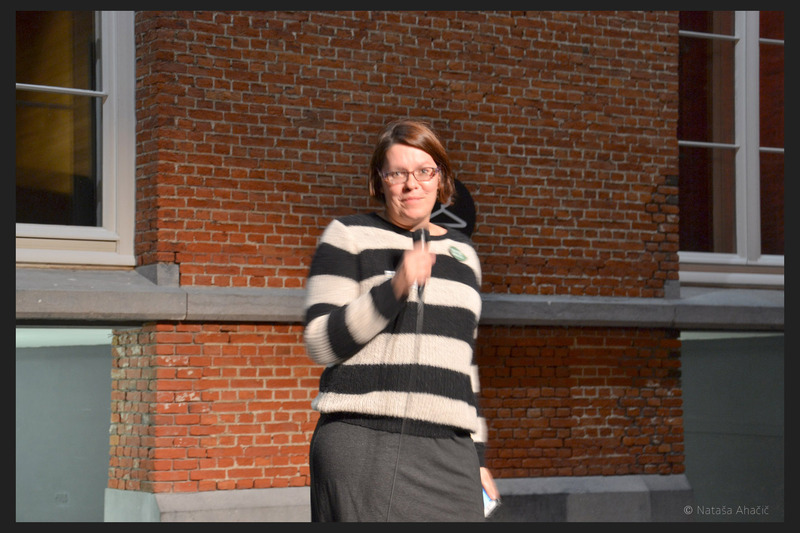 Els Uytterhoeven from Ghent City International Relations and Networking presenting the new city guide. 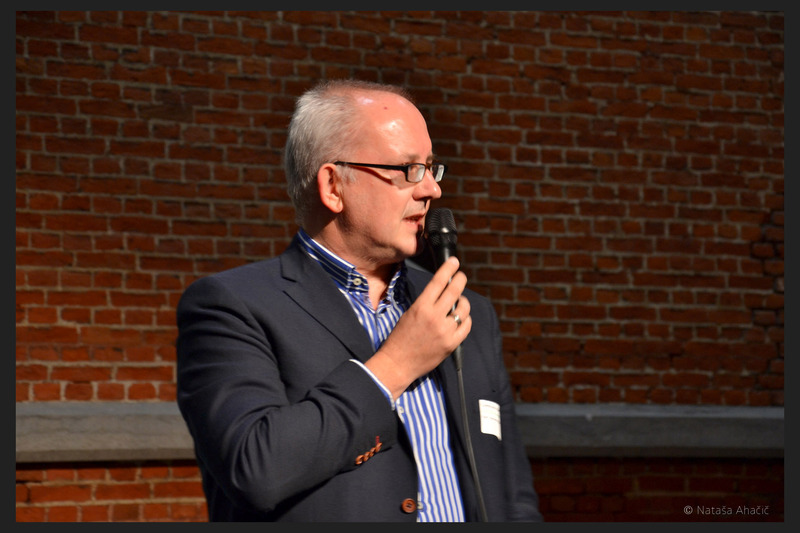 The new digital city guide in English for newcomers in Ghent was introduced at the Expat Event. 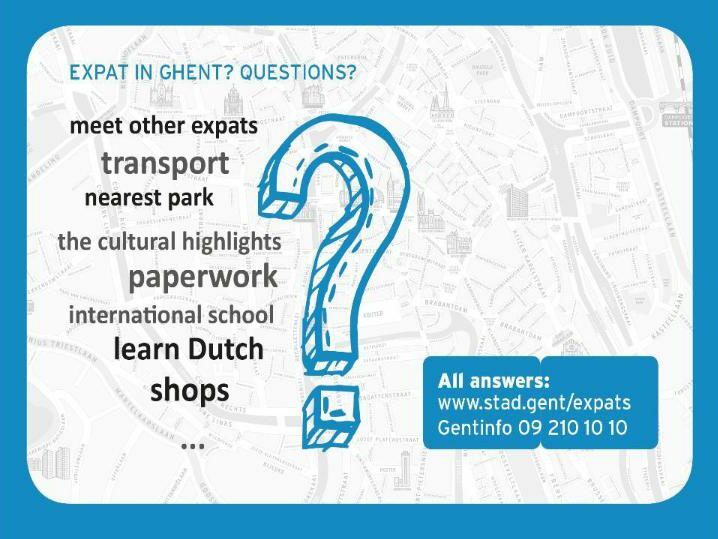 It is available at www.stad.gent/expats and answers the most common questions a newcomer might have upon arrival in Ghent. The guide therefore contains information such as registering at the city hall, info on living, mobility, leisure, culture, sports in Ghent. The not-for-profit organization Community Gent was the organizer of the event. Community Gent is a collaboration platform between the City of Ghent and various organizations and individuals active in the following sectors; culture, sports, economy, science, education and healthcare. 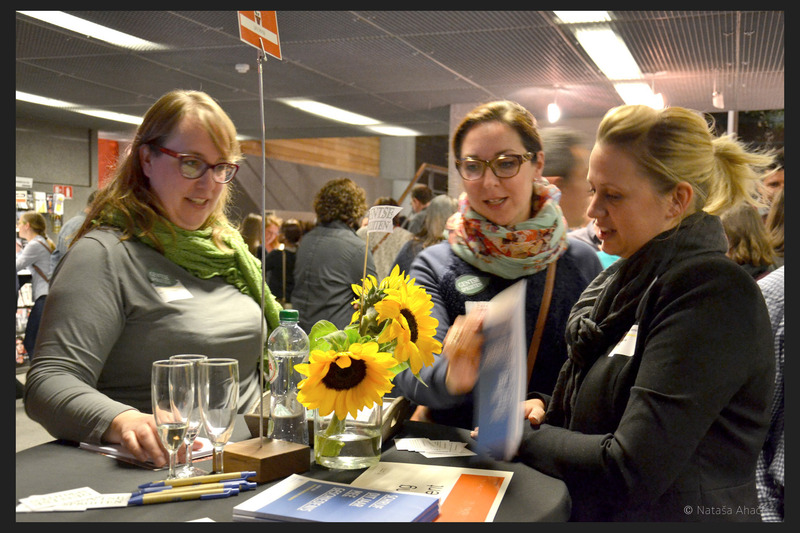 Around 10 volunteers, mainly expats, organize events where all internationals in Gent can meet each other, exchange knowledge, share experiences and engage with the city. According to the mission of the Community Gent the main aim for the Expat working group is to create a dialogue between the city and expats and other internationals. “We do this because we want to use our own experiences as expats to make new residents feel more welcome. 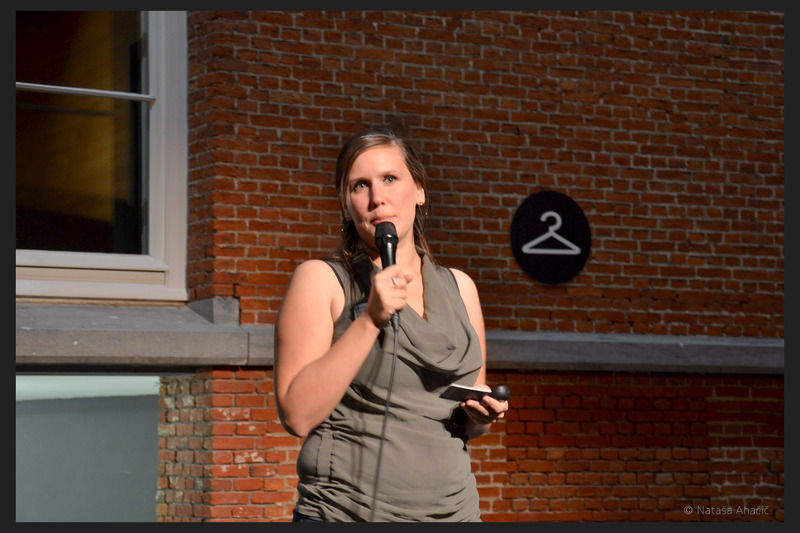 We all love Gent and want to bring more diversity, new knowledge and innovation to the city”. it seems the expat event was all in all a great success!